Cooked with 100% sunflower oil. No artificial flavours, colours, or MSG. 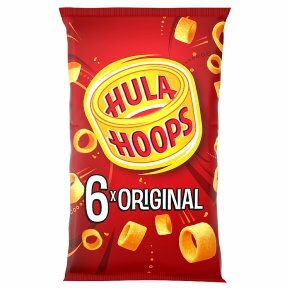 Suitable for vegetarians.Our Promise to You... Hula Hoops are cooked with 100% sunflower oil and are completely free from all artificial flavours, colours and MSG. Of course they still taste as great as ever!